Another illustration for a Caverns “monster” card, probably drawn around 2003. 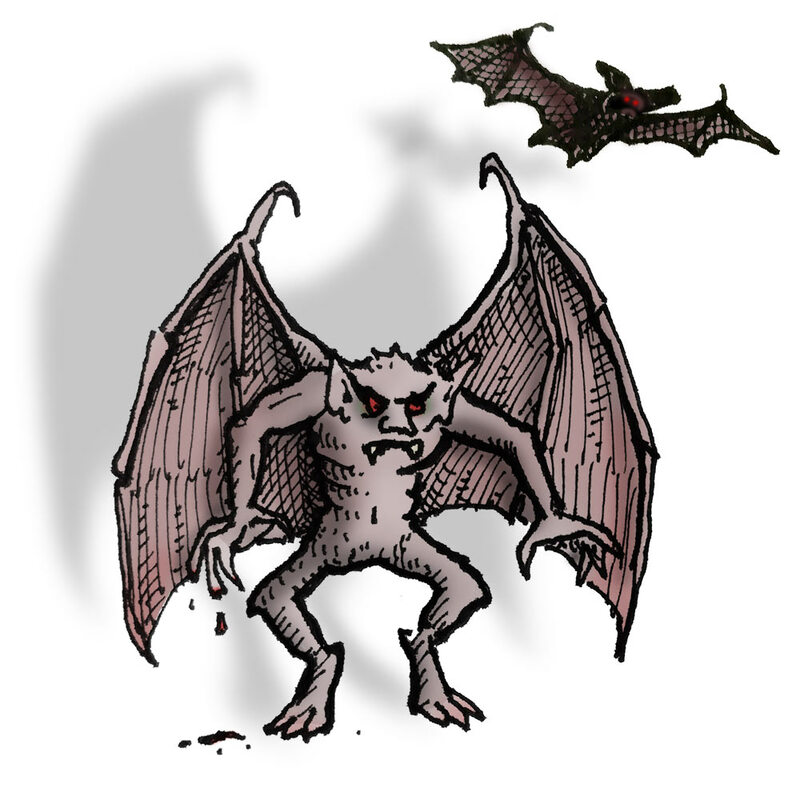 This one was for a “vampire expansion” I was asked to add. I recently found this illustration in an odd folder full of laminator plastic (the cards were laminated for durability). The original is black-and-white only and only about an inch high, coloured in here for fun. I don’t enjoy the horror genre (I’m too scared) and am consequently at risk of using stereotypes when representing it. But I’m impressed with my past self for making the vampire here grotesquely neck-less and inhuman. Even though this is just a silly cartoon, I was surely inspired by Coppola’s 1992 visually memorable version of Dracula, in which the vampire sometimes appears in beastly forms. Obviously, this predates the twinkling soft-focus vampire rebranding that was unleashed upon the world by the Twilight books, of which I was not a fan.